Is it just me, or has social media “stalking” become almost a social expectation? While studying communications, I was taught the most effective way to research people is online. Whether it be to prepare for an interview or just a strategy to “know thy enemy”. In my last two jobs, co-workers have admitted to looking me up online when they heard I was taking the role. And I have done the same with prospective employers. But while having a squiz at someone’s professional history on LinkedIn might be considered acceptable, there’s a point at which everyone starts to feel a little squeamish at the accessibility of social media. Why else would we have passwords, privacy settings and block buttons? Because everyone has a line they don’t want crossed when it comes to their personal information. But the line starts and ends at different places for different people. I might not put as much of myself online as a #fitspiration model, but I have a much bigger footprint than some of my Snowden-subscribing friends. This leads me to Picci: an innovative new app using facial recognition technology to connect people through photos. The app was developed here in WA and launched late last December. This was just in time for its first adventure – Wonderland Music Festival – where a drone flew above festival-goers, snapping pics, and sending them to people who downloaded the app. I believe Picci will be more divisive in the social media world than whether or not Facebook should have a dislike button (it totally shouldn’t…). In the world of Picci, you don’t ask for someone’s phone number; you just take a selfie with them. The idea even evolved from co-founder Carl Conquilla’s quest for love when he met a girl and took a selfie with her, but couldn’t manage to ask for her name or phone number. Though his words failed him, his mechatronic engineering degree did not, and the idea of Picci—an app that could connect people through selfies—was born. Carl teamed up with his friend Andy Henson and the pair successfully pitched their idea to technology investment company, Jack’s Ventures, making their dream a high-tech reality. 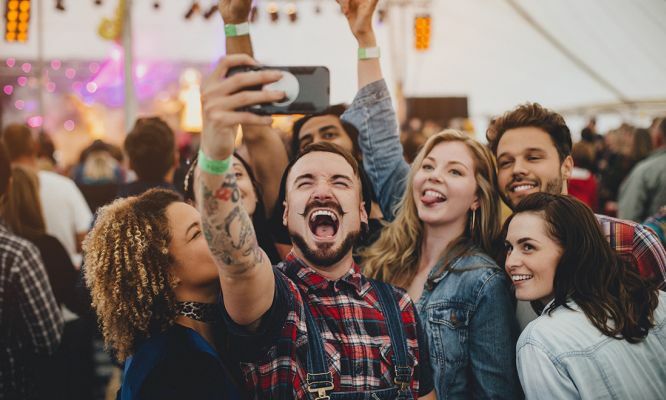 Picci’s premise is pretty simple: take or upload a selfie and Picci will use its advanced facial recognition technology to tell you who is in it and allow you to connect with them. Initially, the idea of being able to find a person from a photo made me feel a bit uneasy. But the scientist within me drove me to do what we do best: experiment! I enlisted the help of our digital analyst and social media guru, Kirsten. As a seasoned selfie taker, she did the honours of snapping our selfie to the confused looks of our co-workers. Picci immediately tagged us correctly and offered for me to send her the photo. 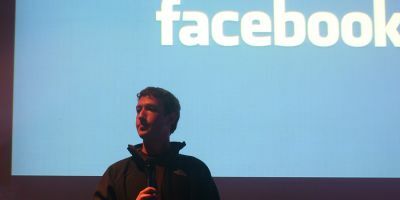 In the world of Picci, the photo is the “friend request”, which you can choose to accept or deny. Accepting the friend request enables you to message back and forth with your new friend. You can even download the photo to your phone’s camera roll or upload it straight to Facebook or Twitter. You can only find people who’ve also downloaded the Picci app. 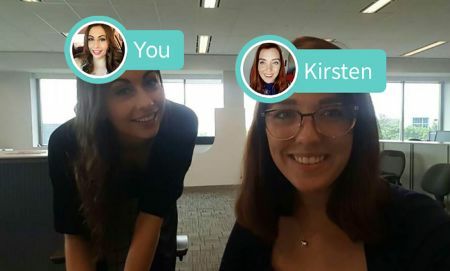 While the app managed to find Kirsten who also downloaded it, Picci couldn’t find my partner, who I roped into the shenanigans. It made guesses to who he was based on the faces in their database, but without him registering with the app himself, he was safe from any selfie friend requests. Picci only displays a person’s first name when it tags them. But while this is great for the Matts and Sarahs of the world, it does little to protect uniquely-named individuals like myself, whose first name alone can be Googled to reveal various social media platforms we’re on. If someone sends you a selfie friend request, you can choose to reject it, preventing them from contacting you further on the app. All things considered, it’s pretty safe to use, and probably not going to turn into a science fiction nightmare. If you’re still uncomfortable with facial recognition technology, you can choose to simply bypass this one entirely. For those who embrace technology, Picci could be a dream come true. It’s an undeniably impressive bit of tech, and I can see it being adored by Gen Z and festival-goers. For me, my group selfie days have been dwindling since I made the transition from early to late 20s, so I don’t have a lot to fear. But I may uninstall the app after this article, just in case! When it comes to jumping on bandwagons, I like to be fashionably late. But I’ll continue to watch this space to see just how social the world of social media will become.